Only two days left until Halloween! Have you picked out/finished your costumes yet? I’m pretty excited that my boyfriend is FINALLY dressing up with me! One of these days I’ll get him to dress up at a con. My “to-make” pile is finally shrinking! In fact, I only have two costume projects to share right now, so I’m also sharing some non-costume pieces today. I feel like I’ve been talking about making this dress for months. I’ve always loved Takeuchi’s artwork of the sailor scouts in their princess forms. After completing Sailor Jupiter, I felt like this costume was a must. Funny enough, a good chunk of this project is made from reject Jupiter fabrics. The sheer top layer (not pictured) is a satin that I thought would be perfect for my fuku, but it was more translucent than I realized. Sadly, the store I bought it from doesn’t accept returns. Fortunately, the fabric is perfect for this dress! The construction of this gown is a little counter-intuitive. I’m treating the top layer and “lining” layer as one, but I want them to be free floating. I’m finishing the top layer with French seams for a more couture finish and also drafting a facing. The white layer is made of chiffon and will be a free floating skirt, so there’s 3 layers in all. The sides have German plastic boning for support. I’m hoping to finished this dress and some of the accessories next week. Hopefully this will be ready for Anime North Texas on November 15th! This is one of my big projects for the month. A friend of a friend asked for a commission a little while back, based on the above character. 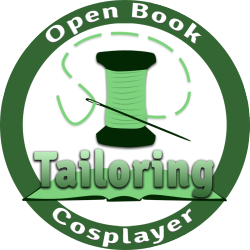 It’s not too difficult of a project, but I’m looking forward to practicing a few newer skills, including sewing for guys and hand embroidery. I don’t have much to show right now other than the glorious fabric I found. 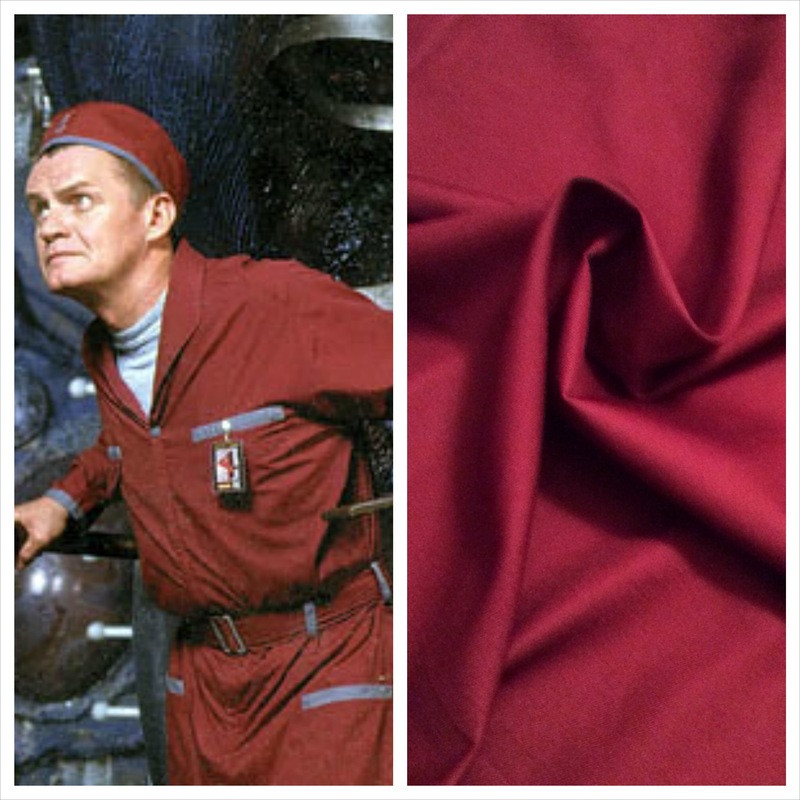 It’s a twill duponi with a high cotton content for breathability. For some reason, it wanted to photograph as more of a ruby. It’s not quite that red! I wanted something with a little bit of poly so it wouldn’t wrinkle like crazy. I’m currently working on a few mock-ups to get the collar and lapel right. My garment piece for November’s Monthly Stitch! I’ve been eyeballing Moogle hoodies for a little while now. I’d like a kigurumi at some point, but I think I’d get more overall wear from a character hoodie. I’m planning to use McCall’s 6614 as a base and modify like crazy. I haven’t decided whether I want to go with the princess seam version for a better fit or just go with the zipper version. Hopefully I’ll get it done sometime next week! I’m planning to wear this hoodie to Ikki (if I make it out there) and PAX South. The BF just asked for a Tonberry hoodie to wear with me to PAX, so keep an eye out for that over the holidays! This is my big non-cosplay project through the end of the year. I was thinking that I’d make it my garment piece for the Monthly Stitch November theme (outerwear), but I don’t want to rush this project. I bought the Anise pattern (top left) last year after getting some gorgeous wool for a Christmas present, but I’ve been debating whether or not to make it. A tailored coat project sounds like a fantastic way to up my sewing skill level and the sewalong notes are superb. But… I don’t know how much use I’ll get out of it. Beyond the obvious (Texas has about 2-3 months of jacket weather per year), I don’t think it’s a style very suited to me. I prefer a longer length on my winter coats. Quite frankly, I don’t want to put all that effort into a jacket that I’m already on the fence about. 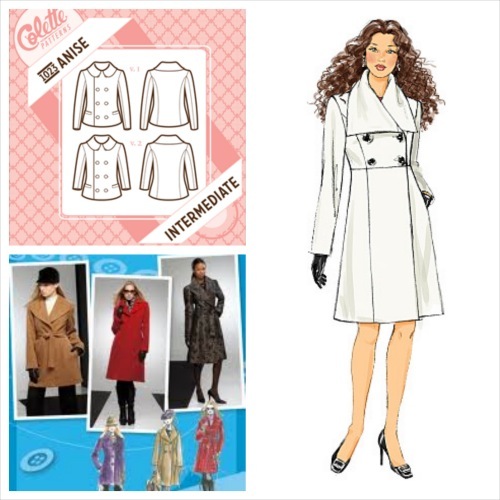 I’m thinking about switching out to a pea coat pattern like Simplicity’s 2311 (bottom left) or even Butterick 5685 that I got at a recent pattern sale. I’m looking to make something fairly classic that I’ll get several years of wear from. What do you think? Have any of you made the Anise jacket? Your Princess Jupiter dress is just fabulous! A Moogle hoodie sounds great, as does a Tonberry one! I love a good wool coat, but then again I’m in New Hampshire so it has a lot more use up here haha. Thanks! I’m really looking forward to finishing that dress. Yeah, I’m kind of stumped on what to do with that project. I really want to make one, but I still have one that’s functional so it seems a little unnecessary. That’s part of the reason I’m so on the fence about what pattern to use. Might as well be one that I’m head over heels with! 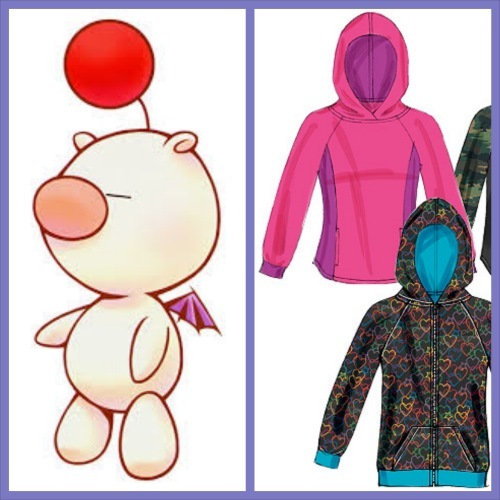 Oooh I can’t wait to see the moogle and tonberry hoodies! 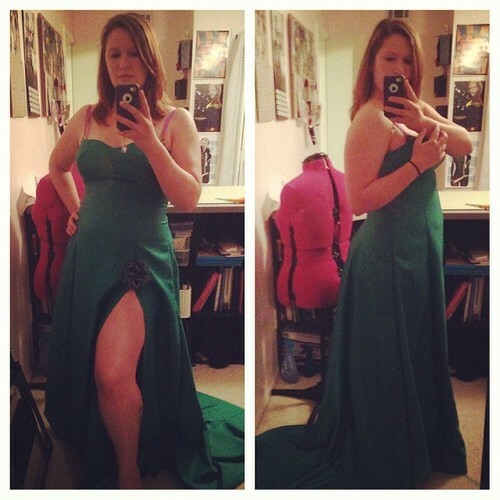 Love the Princess Jupiter gown so far… you are amazing! I have a pattern for pajama pants that I just need to make since they are supposed to be easy. I also want to tailor some shirts to be a better fit. Ooh, fun! I love PJ pants. They’re such fun projects and really nice to customize. Most of the PJ pants I purchase at stores are way too short unless I get a pair that’s several sizes too big.